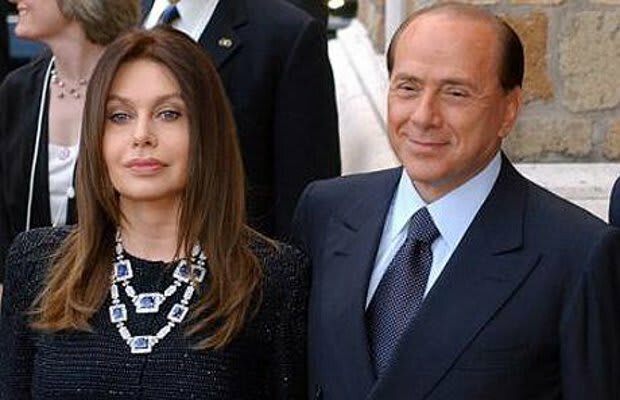 After accusing the A.C. Milan owner (and ex-prime minister of Italy) of "consorting with minors" when he attended the 18th birthday party of model Noemi Letizia, Veronica Lario thought it was finally time to break free and filed for divorce after 20 years together. What evidence did she have to prove of any extramarital affairs? Well, Noemi consistently referred to Silvio Berlusconi as "Daddy," so that should clue you into the type of relationship those two had. In an effort to avoid any messy divorce proceedings, Berlusconi was forced to give up the Villa Belvedere in Macherio near Milan, which was valued at €78 million, or $102 million. And if that wasn't enough, Veronica agreed to take a decreased amount per month to the tune of $394,000. Everything but the kitchen sink? Nah, that too son!